Check out the most recent EP from Montreal imprint Jeunesse Cosmique co-proprietor Catherine Debard, a short collection of freeform ambient psychedelia featuring Eddie Wagner on the opening track. Debard also has a new A Sacred Cloud LP out with fellow JC co-proprietor Chittakone Baccam, currently available on LP via Jeunesse Cosmique after a successful cassette edition through Arachnidiscs Recordings. Just days before the release of their long-awaited debut album, two members of the global drifter trio Jerusalem In My Heart met in the CKUT studios for a rare live performance and interview sent out onto the airwaves. Radwan Ghazi Moumneh is known around these parts for his work at the famed Hotel2Tango as well as for his long history as a performer in the Montreal and Beirut musical communities, and Jérémie Regnier is a composer and producer who'd flown in from his home in France less than 24 hours before this CKUT session. The sheer geographical distance between the members of JIMH mean that any live performances are a rarity, and we were thrilled when the folks at Constellation Records were able to get them in as part of their Montreal Sessions residency. 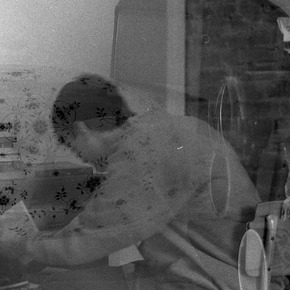 On a very cold January afternoon, CKUT welcomed Montreal's own Babi Audi in the studio to record a live session. There she wove us a sonic tapestry of echoed vocals layered over chopped & screwed samples from some of her fave DJs. One half of the performance art-driven duo Institutional Prostitution, Melissa Gagne has been working solo under the moniker Babi Audi for the past year or two and she's been getting lots of attention from the city's curious ears as of late -- and for good reason. MP3 of the Day: Expwy, "Cultivate a classic sky"
Matt LeGroulx (Expwy) makes well-crafted, homespun pop with a diverse array of influences. 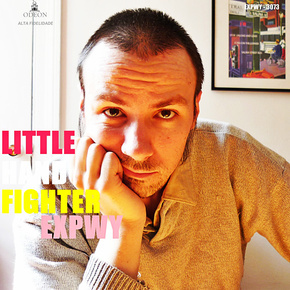 His latest release, Little Hand Fighter, stays true to Bossa Nova form while throwing everything from Guided by Voices to Terry Riley into the mix. Based in Montreal, Expwy has a three albums up on the Free Music Archive for your enjoyment, so check 'em out! MP3 of the Day: Isle of Pine, "Coat of Arms (Farther Away)"
Isle of Pine is the solo project of Montreal's Tim Beeler, whose self-imposed recording limitations saturate his personable songwriting with a familiar 4-track tape hiss bliss. Recorded through a $4 karaoke microphone, And Farther Away is brought to us by curator CKUT out of McGill University. Coat of Arms (Farther Away) is the album opener, but be sure to check out 1 (Maine) if you're looking for even more Neutral Milk Hotel vibes.